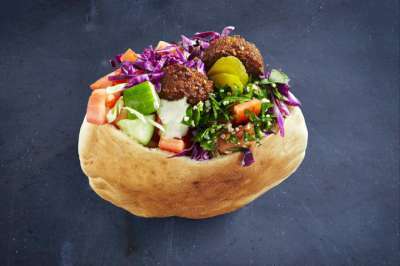 Sabbaba has Mediterranean style food with great vegan options in the form of pita pockets, bowls or plates. Try one of the ten versions of the falafel pita pocket. Also available are various side dishes including hot chips and dips such as hummus. Sabbaba has additional locations in Bondi Beach, Bondi Junction and Westfield, Sydney.